Well, ‘new’ is maybe not the correct term; ‘reborn’ would be better. I was raised as a Christian, went to a Christian school and to church. When I was 14, my father became ill and God decided He wanted him home. Barely 13 years later, He also called my brother back. For me, that was what they call ‘the final drop’ and I lost my faith, but a little while ago, I returned to God. For me, having faith in God and Jesus means believing that there is always someone watching out for me in my best interest; that no matter how hard life gets, there’s always light within the darkness; and that I may be certain that I will receive all good things that are rightfully mine. Without faith, depression and loneliness prevails. When you have faith nothing will be impossible for you (Matthew 17:20). However, I have noticed that it appears to be easier to believe and pray when the going gets tough. When life is a smooth journey faith tends to be placed in the background. 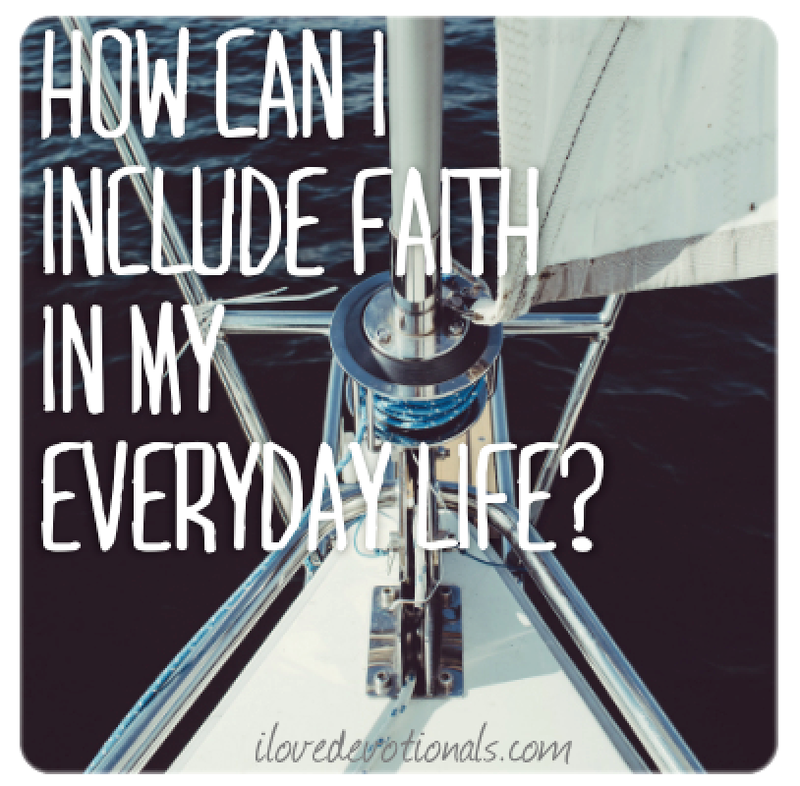 This led me to ask, how can I include faith in my everyday life? This verse is so short, and yet (like all verses) so meaningful. First, I need to watch – watch out and be on my guard for seen and unseen enemies. There’s a lot more evil around than I may think. Be vigilant and pray to see and hear the truth through God’s eyes and ears. Second, stand firm in my faith. When I stand firm, nothing will be able to knock me down without believing that God and Jesus are right there with me to help me up; and not even a smooth daily journey will be able to change that. Third, be brave and face life courageously and patiently. Patiently waiting and believing that God always answers my prayers. Finally, be strong – ‘strong in the grace that is in Christ Jesus’ (2 Timothy 2:1). 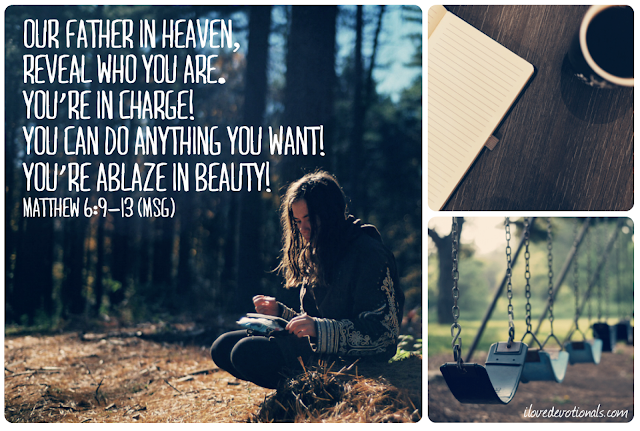 Ponder: How do you include faith in your every day life? I’d love you to share your thoughts in the comments. 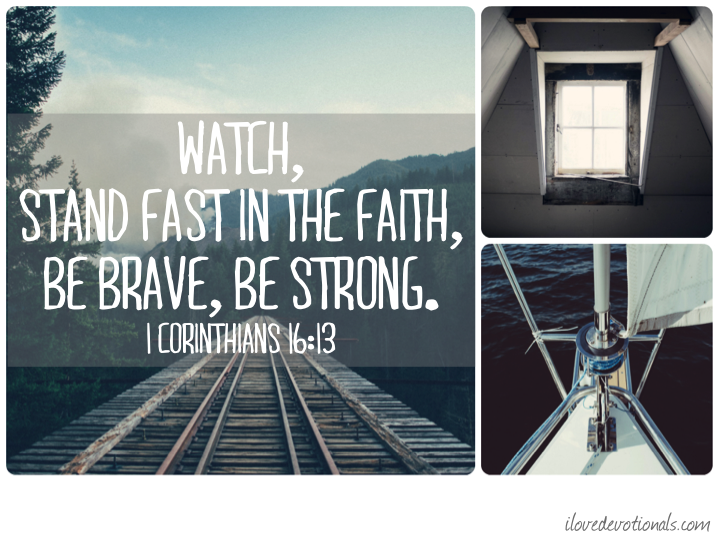 Prayer: Father God, Lord Jesus, Show me how to live in faith in my everyday life. Let me see the truth with Your eyes. Let me hear the truth with Your ears. Let me have faith in You as You have faith in me. Guide me whenever I am lost and away from my path, so that I can find You and re-gain my faith – every day, every hour, every minute, every second until my last heartbeat. Amen. 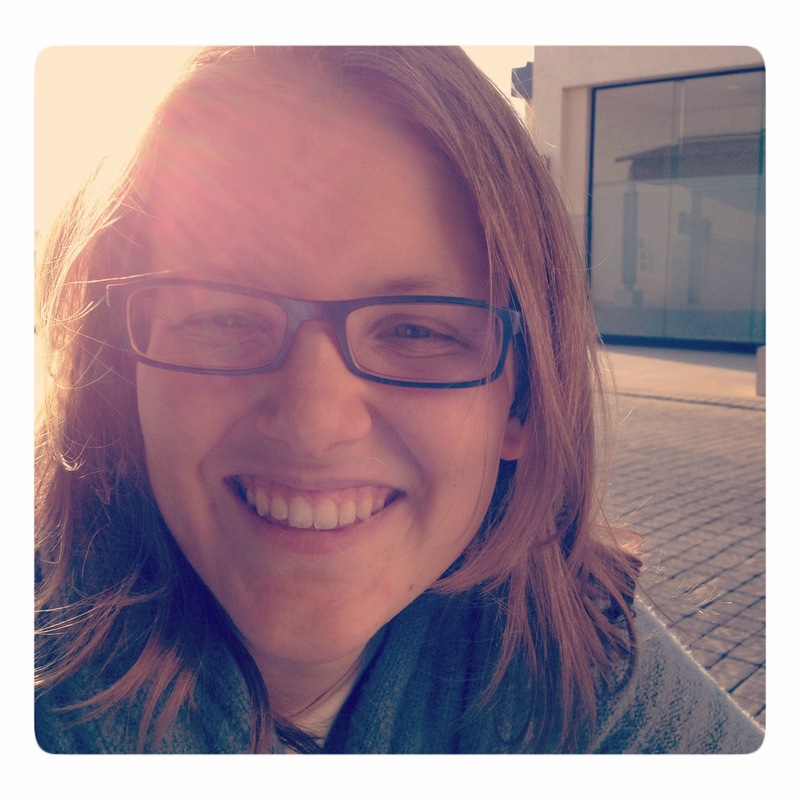 My name is Ann and I'm a 35 year old Belgian living in Australia. I'm a writer and graphic designer, and have recently renewed my faith in Christianity. With this renewal came the drive to write about my faith and to endeavour to see through life's illusions, or as I call them 'life bubbles'. Besides faith, I also decided to share our struggles to start a family and how I try to keep hopeful and positive throughout this journey.